Robert Kenneth “Bobby” Beausoleil was born in Santa Barbara, California on November 6, 1947. The oldest of five children, Bobby might well be the reason for the Beausoleil family to exist; he was born less than seven months after his parents wed in late April of that year. 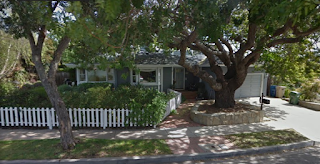 The next year the family moved a block east to a double-occupancy house at 1429 Laguna Street. The Beausoleils resided there for two years before moving again, this time to another double-occupancy house at 419 1/2 North Soledad Street. Charles was still supporting the family as a salesman for Petan Dairy. (Built in 1934, the house on Soledad had two bedrooms and two bathrooms divided amongst the people living there. Although a lower middle-class residence when the Beausoleils lived there — and even so today — the current Zillow value estimate for the property is $1,119.096, typical of real estate values in Santa Barbara. Then, in 1955 and on into the 1980s the Beausoleils lived at 1382 Santa Rita Circle. By now Charles had worked his way up to being a route supervisor for another dairy company, Arden Farms. And he supplemented his income from that job by working part-time as a clerk in a nearby liquor store. 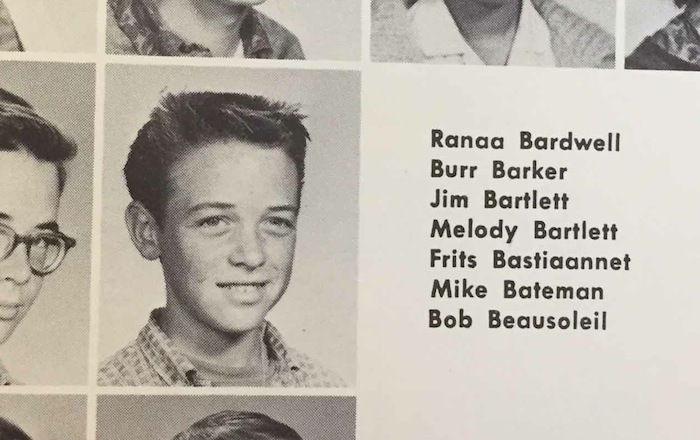 Bobby began attending the Santa Barbara High School. He would have been a member of the class of ’65 but he didn’t make it that far. 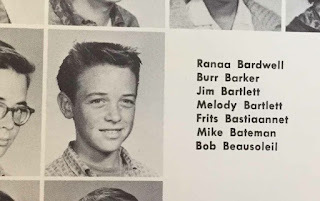 His picture appears in the 1963 school yearbook as a sophomore, but although he is listed as a student during the next two years he did not graduate and there are no photos of him in the ’64 and ’65 books. The 1969 Santa Barbara City Directory for Bobby Beausoleil's parents. It shows Bobby's father Charles as a route foreman for the Arden Farms Dairy Company. Above and below, current views of the home that the Beausoleil family resided in in 1969. The house is just a few blocks from Santa Barbara’s Shoreline Park and the Pacific ocean. “I’ve always had a fascination for music. The earliest Christmas present that I remember getting was a drum—one of those little toy drums with paper heads and a pair of drumsticks. I was four or five, but I remember that gift, whereas I don't really remember any of the others. And I remember that I beat it to death, there was nothing left of the skins on either side—which was kind of a shame because then it wouldn't work as a drum anymore! After that as I was growing up I remember building these strange instruments, out of wooden crates, sort of jug band type instruments…. and I would play them and just banged the hell out of them. So maybe had I been born one universe over from this one I would have been a drummer. But as it happened I found a guitar in the attic of my grandmother's house when I was about eleven years old…. “My mother could play a couple of songs on the piano, I guess she'd had a few lessons. But other than that there was no real music tradition in my family. My uncle at one point must have played guitar a little bit, since he played me a song that one time. On my father's side, both my grandparents were deaf. Other than singing in the shower, which he did with considerable passion, my father didn't bring any musical ability to my early years, or at least not any musical influence. Most of it was just my listening to the radio…. “We had one table radio, but eventually my mom got a hi-fi stereo, one of those console things on which she would play Harry Belafonte and Johnny Mathis records. When she got the stereo I was given the family radio, but up until that point I had a crystal radio that I had built and it had a little earphone, and underneath the blankets I would listen to KISS radio all night. Every third or fourth song they played was a rock song, you had to listen through all these other songs…. 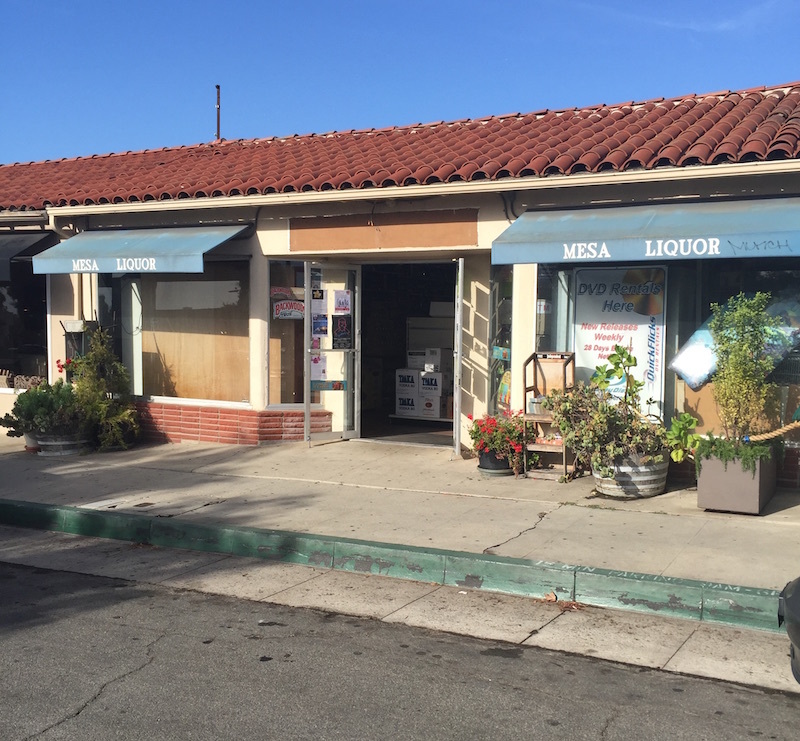 “Santa Barbara wasn't really a place that was on the cutting edge…. At the time I heard one person characterize it as "a town for the newlywed or nearly dead." When I was first growing up there it was a pretty small town, only a couple of stop lights where the highway went through. Very quaint . . . the wealthy people were up in the hills, the less wealthy were on the flats, down at sea-level. There was Haley Street area, which was the black ghetto, and there were the barrio areas and then the upper crust in the Montecito and Hope Ranch areas, and various strata in between. It was a pretty nice town, and the beach was always great. I loved the ocean, and the mountains weren't too far away. A summer spent with his grandmother in El Monte, California was characteristic of Beausoleil's penchants for music, rebelliousness, and associating with people he found interesting. “I was visiting my grandmother during the summer in El Monte, in the Los Angeles County area, and made friends with some, I guess, Rockabilly-oriented people. This was a Mexican barrio and a white ghetto, El Monte, with a lot of people from Arkansas and other places who had migrated to California looking for the economic "Grail," and found themselves in this low-rent district, pretty much a shanty town type of environment. I wound up hanging out at this gas station which a friend of mine helped his parents operate. It was a little run-down 76 station. He was about my age, thirteen or fourteen. His parents would spend most of the day in the bar, and he would for the most part run the gas station and we helped him, me and a couple of other guys. We all played guitar, so we spent much of our time sitting on old car seats behind the gas station playing "What I Say" or some stuff that one of the guys brought from Arkansas like "Under the Double Eagle" or "Wildwood Flower," all those kinds of things. I got into where I was picking notes instead of just strumming and I expanded my repertoire in a sense, or my techniques anyway. I had a blast doing that. Then I refused to return to Santa Barbara when it was time to go back to school—I wanted to stay there with my grandmother and hang out with my friends. That lasted for several months past the time I was supposed to have gone back to school . . . and then I got busted. It was just after Christmas and my friends and I went out in one of our homemade jalopies. Despite his independence in Santa Barbara, Beausoleil was still bored and dissatisfied, and his restlessness got him into enough trouble that he was eventually sent to “reform school,” specifically the Los Prietos Boys Camp located about ten miles north of the city in the Los Padres National Forest. 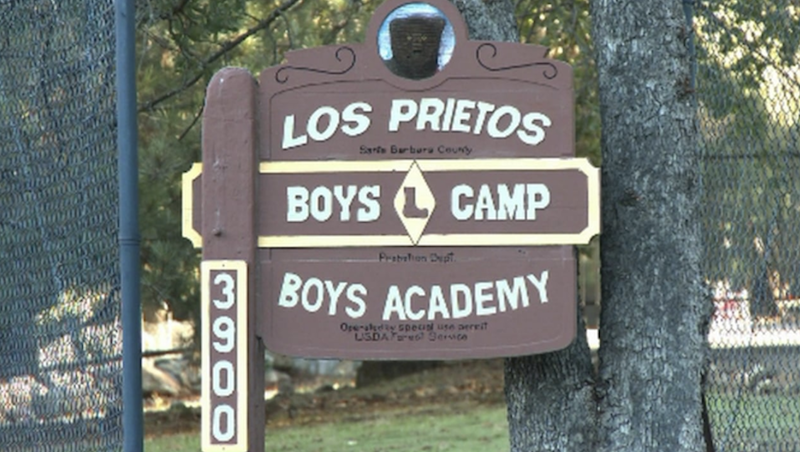 According to its website, “The Los Prietos Boys Camp program is located on 17 acres in the Los Padres National Forest. 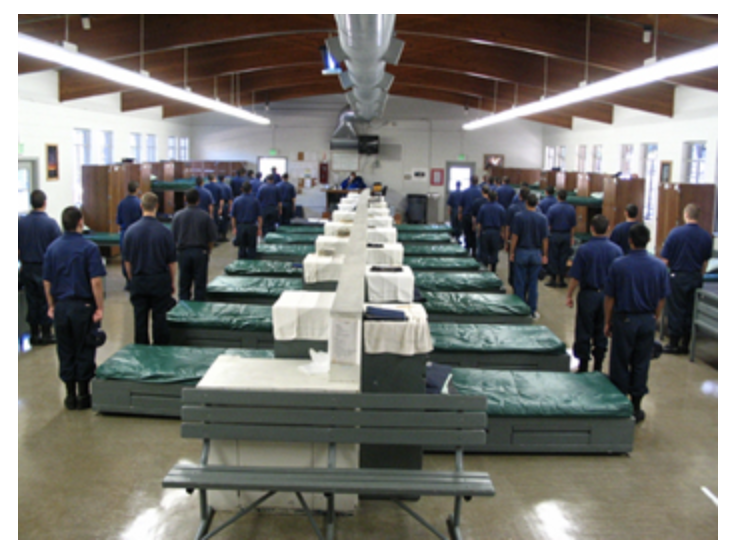 The facility provides a local commitment option for delinquent males between the ages of 13 and 18. 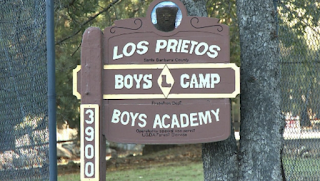 Los Prietos offers a 120 or a 180 day program. 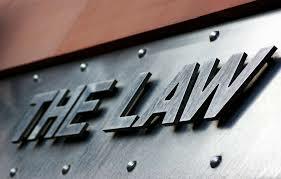 Wards earn their way out of the program based on their participation and behavior. at the top of the sign?) and a typical barrack. “My grandmother had cancer, and so when I was visiting her I didn't want to leave her alone—she'd been pretty much discarded by the family—and at least that was part of my rationalization, that I wanted to stay there with her . . .and to be with my friends and learn more about playing guitar, and take the old jalopies down to the riverbed, all those kinds of things. I was having more fun in that little shantytown called El Monte than I was in Santa Barbara, where I really didn't fit because I couldn't afford a surfboard. My parents had four other kids to deal with, and I'd made my own bed so to speak, so my parents let me lay in it and they signed the papers to let me spend some time in Los Prietos Boys School. It actually did a number of things for me. One, I got physically strong—I grew up a lot there. It was a good transition from boyhood to manhood, and it was pretty grueling at times…. “[The main issues there were] work, and dealing with a bunch of hard-headed kids. They definitely put a guy through his paces. They had a kind of boot camp training, and they really put you through it. One of the things that you did was to go up on the shale hill and break up the shale and then load it onto a flatbed truck, which would go over a tiny bridge and dump it on the other side of the creek. You asked what you were doing this for, and they would tell you, "We're moving this hill over there, to the other side of the creek." This was something you did, and you spent a lot of hours doing it in the heat. It was not that they were trying to kill us. They were trying to make men out of us. And it did serve that purpose for me…. “There was a part of me that resented it—I didn't like being there and I wanted to go home—but at the same time I was getting tougher, and that was good. And I'll tell you the truth though, I didn't really notice it until I got out. I didn't realize how different I had become from other people. It was something that had taken place over a period of ten months or so. There were some changes that took place. I hated having my hair cut short like we had there, and I promptly started growing my hair as soon as I got out. This was pre-Beatles, pre-hippy, it wasn't a fashionable decision at that point…. “I did have an opportunity to play a little guitar when I was there, but it wasn't something that was normally allowed. The way that worked out was that I got into the glee club—there was this guy who was one of the camp counselors, and he wanted to start a glee club. I joined the glee club and after trying to sing a cappella with these guys for awhile, I convinced him that some musical accompaniment would be needed. He had an old guitar in the cabin where he lived and he brought it out, so I got the opportunity to play a few chords along with the glee club songs. The action was so high on this guitar that it was excruciating to play, especially when I'd already lost my calluses. But at least once a week I could grip the neck of a guitar and do a little bit with it…. [Later], I lost my guitar in El Monte—it stayed down there after I got busted, and there was no way to retrieve it. So I didn't have a guitar when I got out. But when I'd been in Los Prietos during the summer months there were fires, and this was a fire camp. We didn't actually go out on the fire lines, but we would follow the path of the fire to put out the smoldering stumps, or during the fire we would sometimes load the liquid fire retardant that the fire planes dropped. We would fill the same planes with grass seed after the fire, for re-seeding. They paid us by the hour and I made quite a bit of money—I had almost $300 by the time I got out. So when I got out I had almost enough money to buy a guitar and pay cash for it. I got a little help from my mom…. “The [guitar] I wanted was [costly], although by today's standards it was extremely inexpensive considering what it was: a Les Paul signature SG Gibson, cream white, 3 gold pickups—just a gorgeous guitar, with a nice hard shell case. I paid $269 for it, plus the case, and today that guitar would be worth probably ten grand! So I had this really cool electric guitar and I started going back to Bonnie Langley's [Music Store on State Street] just to have somebody to play with, and because I didn't have my own amplifier yet. I got to play a little bit there, but she wasn't allowing that as openly as she had been before. Also I had evolved and the people I had grown up with had not, I don't know how to describe it any differently than that. I had gone through all this stuff and I didn't fit in…. “[And] I would not have stayed [in Santa Barbara] as long as I did were it not that I was afraid of getting busted again. So I tried to mind my P's and Q's and hang in there as long as I could, but I just kept getting more and more distant from myself and the kids in town. By the time I was not even sixteen I was pretty much living with a girl in an apartment, she was about four or five years older than I was…. “She was the sister of a friend of mine. We just hit it off. Like I said, I was beyond my years, at least in my attitudes and thinking and how I carried myself. Part of the reason why I left Santa Barbara was that she became too dependent on me, too obsessed with me. So eventually I left and went to stay with my cousin for a little while in Sunland, down on the outskirts of L.A. County. I was headed down a shady path I guess, although not in a criminal sense. My favorite cousin who I had gone to stay with turned out to be kind of a dip. He really didn't take care of his family very well. It's a little embarrassing, but at the same time it's part of the story here—I wound up sleeping with his wife. He left, and I ended up living with her. I got a job at the Travel-Eze Trailer Company, building trailers, supporting his wife and kid, and sleeping in his bed with his wife. And again, she was quite a few years older than I was. I was only sixteen…. “She was working too, we both were. I had no experience doing that, but I grew up in a family where my dad worked two jobs. So as far as understanding a work ethic and supporting a family, I had no problem with that. I just did what came naturally. I've always had the ability to work, to do real work. I kept my job easily enough. Actually I had not quite turned sixteen yet. I had a learner's driving permit, which you're allowed to get at fifteen and I'd doctored it so that I appeared to be sixteen—that had allowed me to get a job at the trailer company, and it also allowed me to drive. I bought a car, a '50 Ford with an Olds engine in it, and a hydromatic transmission. I loved that car! So I was beginning to do adult things. Then my grandmother died, the whole family was notified. Of course I had been very close to my grandmother. I went to the funeral, and it turned into a very ugly situation. My cousin went to my family and told them I was sleeping with his wife. It got really weird. My father was trying to lay down the law all of a sudden and take me home, to make me tow the line. And he'd got one of my uncles backing him up…. 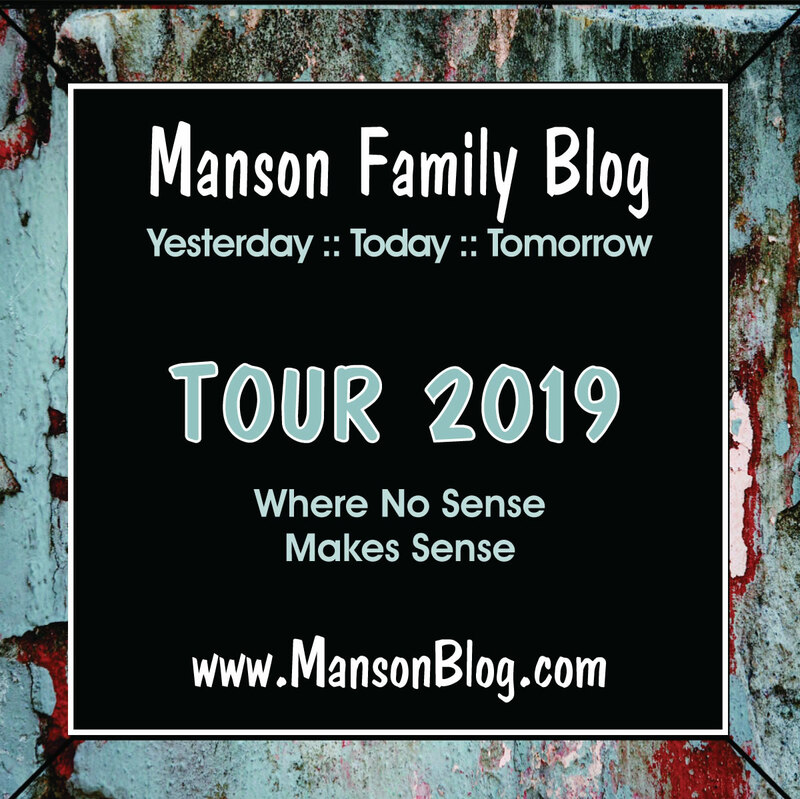 Thus, Beausoleil was already long gone from the area by the late summer of 1967 when Charles Manson, Mary Brunner, and Lyn Fromme took up temporary residence in a house at 705 Bath Street in the city. 705 Bath Street. Charles Manson, Mary Brunner, and Lyn Fromme lived here briefly in 1967. There are some interesting notes of commonality between Bobby Beausoleil and Charles Manson, the significance of which can only be imagined. For one thing, Bobby’s father was named Charles. 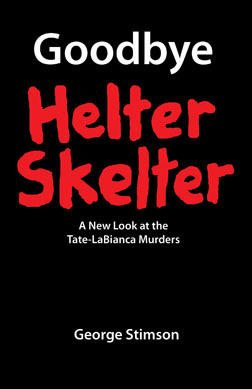 The maiden names of Manson’s and Beausoleil’s mothers were strikingly similar, Maddox for Manson and Mattox for Beausoleil. Both men had been institutionalized (albeit Manson much more so than Beausoleil). They had a shared residency/experiences in Santa Barbara. And, of course, they both had a keen interest in music. Driving north out of Los Angeles on Highway 101 on August 5, 1969 after the murder of Gary Hinman would have taken Beausoleil through Santa Barbara and just over a mile away from where his parents then resided. Did he have any thought of seeing them as he passed by? Did he know anybody else in town he could have stayed with? Or was all of that too far in the past? We will never know. We just know that Beausoleil in fact drove straight on up 101 until either he or the car (the deceased Gary Hinman's Fiat) conked out at the top of the long, steep grade going up to the Cuesta Pass three miles north of San Luis Obispo. There he pulled over and went to sleep in the front seat. The next morning California Highway Patrol officer Forrest Humphrey stopped to check the car, and the rest is true-crime history.